Microgaming is the largest provider of online gaming software in the World. 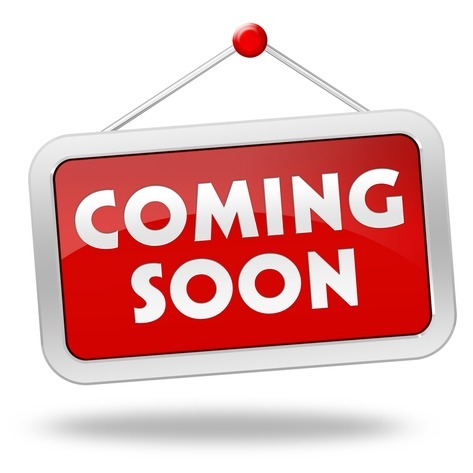 The company has been around for what seems like forever, after being founded on the Isle of Man and opening the first online casino in 1994 and now provides its services to more than 160 leading brands Worldwide. This makes it the Godfather of software providers and if you're familiar with online bingo and casino sites, there's a good chance you've played at a Microgaming site. Microgaming's cutting edge technology offers over 600 games with over 1000 game variations in their online, land based and mobile platforms. Microgaming offer both network and standalone bingo games in 75 and 90 ball variant. A key feature of these games are the award-winning side games available within the bingo game. These include Advanced Slots, Progressive and Multi-Players Slots, Table Games, Scratchcards and Mini Games. 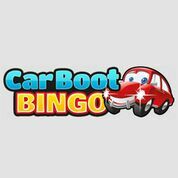 Jackpot City Bingo, Butlers Bingo, Dream Bingo, Bingo on the Box, Giggle bingo and 32 Red Bingo each run on software provided by Microgaming. Each site is unique, with the odd similarity between promotions. 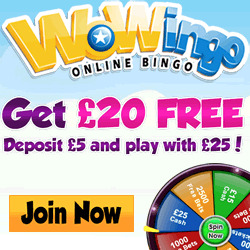 In fact, each of the sites on the network, with the exception of Jackpot City Bingo, offer a free no deposit bonus. 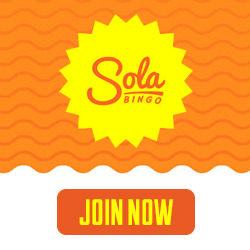 Bingo players appreciate a bingo site that allows you to try before you buy and it shows a company has confidence in their bingo site to offer free money. 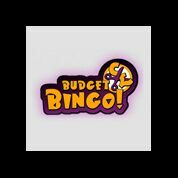 Dream and Bingo on the Box offer the biggest free bonus with a free £15 for all new members plus a generous 300% welcome bonus on first deposits Cheap bingo tickets also seems to be a running theme across the sites on the network, with tickets starting at just 5p and not usually exceeding the 50p mark. There's also some jumbo jackpot games available on the sites, Microgaming's website states that they have paid out over 320 Million Euros and are the biggest Progressive Jackpot Network in the World. Microgaming has proved one of the most popular software providers due to the sophisticated nature of their product and despite the bingo sites using the same software, they are all different in their own way. 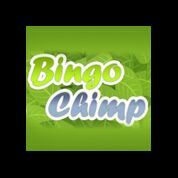 Each site gives players the option to play a selection of mini games within their bingo game and there's a wide variety of slots and instant games available across the network's various sites. Another reason Microgaming is so well thought of in the industry is that they never fail to move with the times, they have one of the best mobile platforms around and as mobile gaming is on the rise, this can only be good news for players. The Head of Microgaming, Neill Whyte has recently revealed that the company intends on launching eight Android compatible mobile games in Summer 2012. All of Microgaming's mobile games use the swipe and tap interface which is thought to be the main reason behind the mobile platform's popularity. Player security is very important to Microgaming, and the online bingo software uses 128 bit SSL encryption for the highest level of protection for players. Microgaming even founded the eCommerce and Online Gaming Regulation and Assurance organisation (eCOGRA) with 888.com back in 2002. ECOGRA is a non-profit regulatory body who monitor and vet the online gambling industry. Online casinos that receive eCOGRA's approval are awarded with their Free and Fair seal, which is displayed on their site's telling players the site is safe to play at. Sites on the Microgaming network accept the majority of popular payment methods, including Visa, Mastercard, Ukash, Neteller and Paypal. Dream and Bingo on the Box are members of the Palace Group and are managed by Bayton Ltd (C41970) a Maltese Registered company. Licence Number: LGA/CL1/376/2007 and LGACL3/376/2007. Giggle Bingo belongs to Digimedia Ltd, based in Malta. Licence Number: LGA/CL1/542/2008 and LGA/CL3/542/2008. Jackpot City Bingo also belongs to Digimedia Ltd Licence Number: LGA/CLI/542/2008 and LGA/CL3/542/2008. 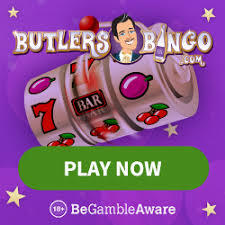 Butlers Bingo belongs to Broadway Gaming and holds a Maltese licence. Licence Number: LGA/CL3/638/2010.